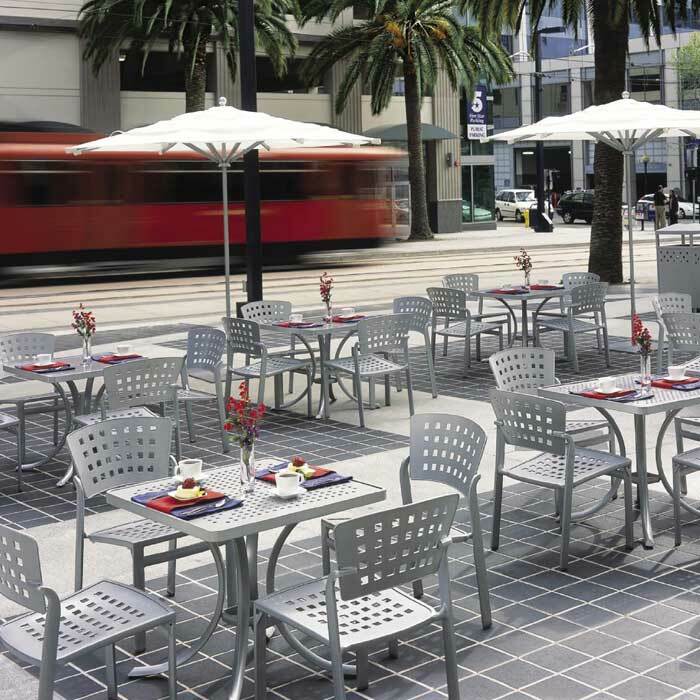 Impressions patterned aluminum patio furniture collection is the the perfect choice for contemporary café seating. The collection consists of durable, stacking dining chairs, side chairs, and bar stools. Patterned aluminum dining tables, coffee tables, and accessory tables in coordinating and complimentary designs pair perfectly with the Impressions Collection to complete the outdoor setting.